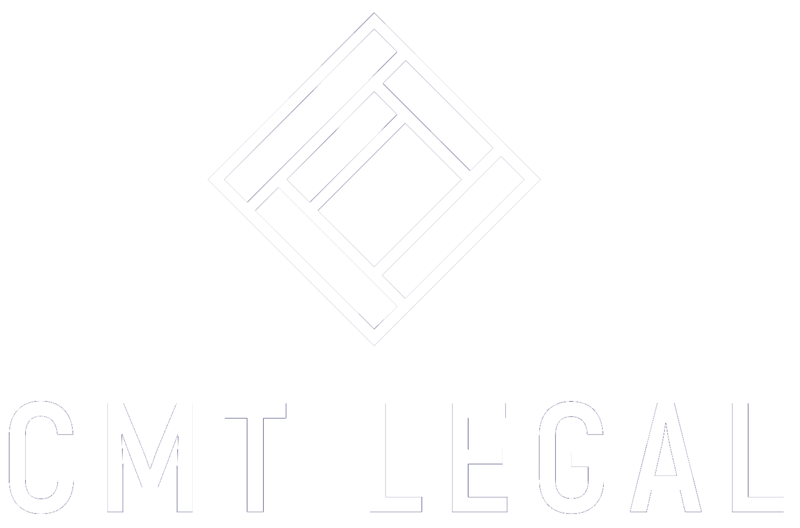 Thank you for visiting one of the websites of CMT Legal. Our websites provide information about the legal services that we offer, provide general information and resources, and allow you to contact us. ⦁ Cookies. A cookie is a data file placed on a Device when it is used to visit the websites. A Flash cookie (or locally shared object) is a data file placed on a Device via the Adobe Flash plug-in that may be built-in to or downloaded by you to your Device. HTML5 cookies are similar to Flash cookies but do not require a plug-in. Regular cookies may generally be disabled or removed by tools that are available as part of most commercial browsers, and in some but not all instances can be blocked in the future by selecting certain settings. Each browser you use will need to be set separately and different browsers offer different functionality and options in this regard. Also, these tools may not be effective with regard to Flash cookies or HTML5 cookies. For information on disabling Flash cookies go to www.adobe.com. Please be aware that if you disable or remove cookies, Flash cookies, or HTML5 cookies on your Device, some parts of our websites may not function properly, and that when you revisit our websites your ability to limit cookies is subject to your browser settings and limitations. ⦁ Web Beacons. Small graphic images or other web programming code called web beacons (also known as “web beacons”, “1×1 GIFs” or “clear GIFs”) may be included in our websites’ pages and messages. Web beacons or similar technologies may be used for a number of purposes, including, without limitation, to count visitors to the websites, to monitor how users navigate the websites, to count how many e-mails that were sent were actually opened or to count how many particular articles or links were actually viewed. ⦁ Embedded Scripts. An embedded script is programming code that is designed to collect information about your interactions with the websites, such as the links you click on. The code is temporarily downloaded onto your Device from our web server or a third party service provider, is active only while you are connected to our websites, and is deactivated or deleted thereafter. ⦁ ETag, or entity tag . An ETag is a type of identifier assigned by a web server to a . An ETag is a type of identifier assigned by a web server to a specific version of a resource found at a URL. If the resource content at that URL ever changes, a new and different ETag is assigned. Used in this manner ETags are similar to fingerprints, and they can be quickly compared to determine if two versions of a resource are the same or not. ETag tracking may generate unique tracking values even where the consumer blocks HTTP, Flash and/or HTML5 cookies. ⦁ Third Parties Providing Services on Our Behalf. We may use third-party vendors to perform certain services on behalf of us or some or all of the websites, such as: (a) manage a database of client information; (b) hosting the websites; (c) designing and/or operating the websites’ features; (d) tracking the websites’ activities and analytics; (e) enabling us to send you information about our services or perform other administrative services; and (f) other services designed to assist us in maximizing our business potential. On some of our websites, we may provide these vendors with access to user information, including Device Identifiers and Personal Information, to carry out the services they are performing for you or for us. Third-party analytics and other service providers for some of our websites may set and access their own Tracking Technologies on your Device and they may otherwise collect or have access to information about you, potentially including Personal Information, about you. We are not responsible for those third party technologies or activities arising out of them. However, some may offer you certain choices regarding their practices, and information we have been informed of regarding such choices for vendors and providers that we use on some or all of our websites from time to time is in an opt-out list available here. We are not responsible for the completeness of the opt-out list or the effectiveness of or compliance with any third parties’ opt-out options. ⦁ Affiliates and Business Transfer. We may share your information, including your Device Identifiers and Personal Information, Demographic Information and Usage Information with our subsidiaries, affiliates co-counsel, business partners, and related entities. We also reserve the right to disclose and transfer all such information: (i) to a subsequent owner, co-owner or operator of the websites or applicable database; or (ii) in connection with a merger, consolidation, restructuring, the sale of substantially all of our interests and/or assets or other corporate change, including, during the course of any due diligence process. ⦁ Your California Privacy Rights. California Civil Code Section 1798.83 permits California residents who have supplied personal information, as defined in the statute, to us, under certain circumstances, to request and obtain certain information regarding our disclosure, if any, of personal information to third parties for their direct marketing purposes. If this applies, you may obtain the categories of personal information shared and the names and addresses of all third parties that received personal information for their direct marketing purposes during the immediately prior calendar year (e.g. requests made in 2013 will receive information about 2012 sharing activities). To make such a request, please provide sufficient information for us to determine if this applies to you, attest to the fact that you are a California resident and provide a current California street address (not a post office box) for our response. To make such a request (limit one request per year), please send an e-mail to: info@cmtlegal.com, with “California Privacy Rights” as the subject line or mail us a letter to: CMT Legal, 712 H Street NE, Suite 1020, Washington, D.C., 20002, Attn: Legal Dept. You must include your full name, e-mail address, and street address in your request. ⦁ User Generated Content and Public Information. The websites may permit you to submit various types of content, including images, text and Personal Information (collectively, “User Generated Content”), such as on blogs and message boards. We or others may store, display, reproduce, publish, distribute or otherwise use User Generated Content online or offline in any media or format (currently existing or hereafter developed) and may or may not attribute it to you. Others may have access to this User Generated Content and may have the ability to share it with third parties. Please think carefully before deciding what information you share, including Personal Information, in connection with your User Generated Content. We are not responsible for the privacy or security of any information that you make publicly available on the websites or what others do with information you share with them on the websites. Do Third-Party Content and Links to Third-Party Sites Appear on the Websites? You are responsible for maintaining the accuracy of the information you submit to us, such as your contact information provided if you choose to contact us for a case evaluation. You may correct or update the Personal Information you have provided through the websites by contacting us at: info@cmtlegal.com. How Do We Protect Personal Information You Provide to Us?